Prior to March 2019, Maruti Suzuki India passenger sales in the domestic market have been stagnant for 8 consecutive months. Maruti Suzuki is the largest passenger car maker in India. They sell more cars than all other car makers combined. Just like the last few fiscal years, they started FY 2019-20 too with a bang, continuing with a double digit growth. But after the first few months, the momentum suddenly died in July 2018, and the company barely managed to post positive growth. In fact, since July 2018, Maruti car sales have failed to register a proper growth. They have been stagnant. That’s more than 8 months without registering a proper growth. Dealers have been pushed to buy cars. This has resulted in Maruti dealers currently sitting on stock of huge inventory. Discount offers are available on almost the entire line-up. But sales fail to grow as per expectation. In order to clear existing stock of dealers, some of whom are sitting on stocks of up to 8 weeks, it is now reported that the company has decided to reduce production. Business Standard reports that as per insider sources, Maruti has cut total car production for the month. In March 2018, the company had registered sales of 160,598 cars. For March 2019, Maruti Suzuki has cut down production to 126,000 units. This is a decline of about 21.5% in production. At the end of last year, Maruti had launched a new campaign for dealers called Hum Saath Saath Hain. At that time too, Maruti was sitting on the highest ever inventory recorded. The scheme was launched to push dealers to increase sales by giving more benefits. 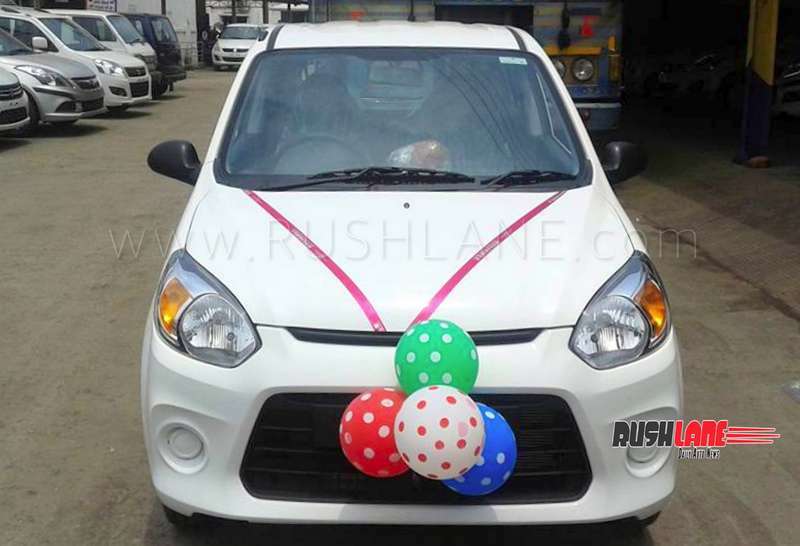 There were discount offers for customers, incentives for sales team and bonus for dealers. But it seems that the campaign has not worked as expected, and thus the company has decided to reduce production for March 2019. 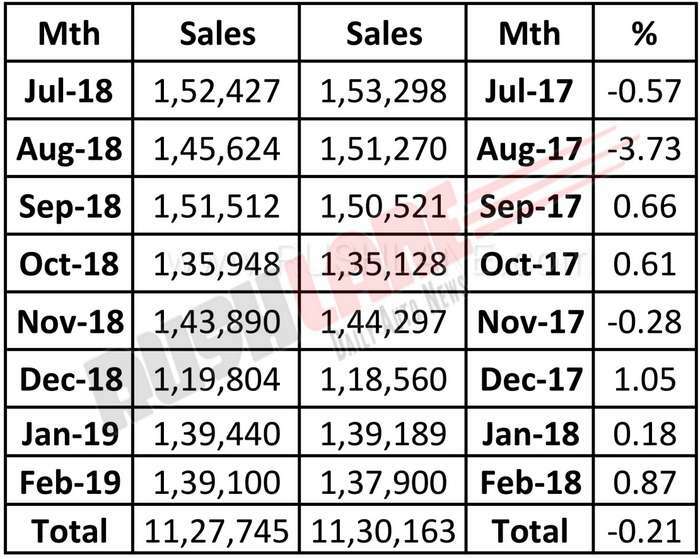 Maruti domestic sales have declined July 2018 to Feb 2019, when compared with same period of previous year. The news of production cut has neither been confirmed nor denied by Maruti Suzuki India. In today’s market trade, share prices of Maruti Suzuki declined 4%, from day’s high of 7,081 to day’s low of 6,780. The stock price later recovered, and closed at 6,905. Maruti was hoping for a turnaround in sales post the launch of WagonR, in the entry level segment. But that has not happened. Maruti WagonR launch, along with that of new Baleno and Ignis, has failed to deliver expected push in sales to the company.